Walking home from the movie theater with my mother and brother, we approached the church from the opposite side of the street. 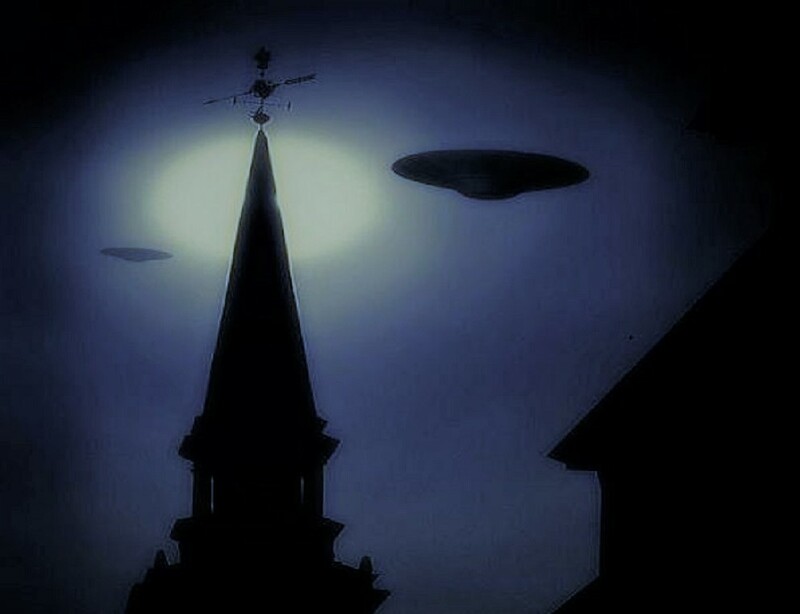 We could detect something hovering above the church with its surrounding trees. Not being able to make out exactly what it was we kept observing but not understanding what we were seeing. As it slowly began too move the stars being blocked out from its shape became visible as were the other stars in the night sky. At that point we could see 3 lights defining the entire craft. It was rounded on the front edge with two lights at each edge with a tapering fuselage going back to a point with the third light positioned at the rear. After slow starting to move for the 5 to 10 second period it then shot away at such a speed as I have never witnessed in any man made aircraft. During the entire 2 too 2 1/2 minute event we never heard any sound whatsoever of any kind other than the normal sounds of a beautiful evening. Walking the 2 extra blocks home all 3 of us were stunned by what we had seen and had no explanation of what it possibly could have been. I file this report now because I have now seen the shape of the craft carved into the Stonehenge stones of which I had never been aware were perplexing the investigators probing that site. NOTE: The above image is CGI.